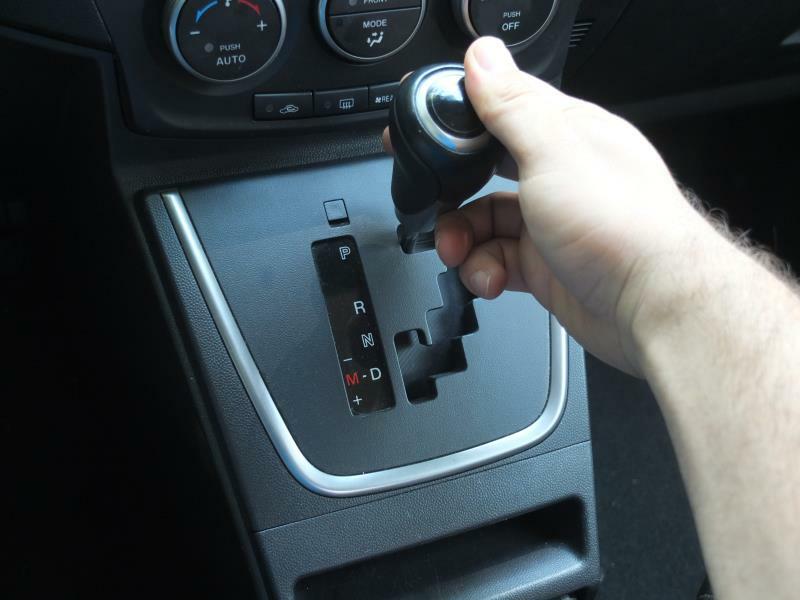 DIY guide on how to check lever and add automatic transmission fluid on Mazda cars including Mazda 3, 5 , 6, CX5- CX-7, CX-9 Protege, and Tribute. How to add Mazda transmission fluid. Below you will also find the recommended Mazda transmission fluid type and alternative Automatic Transmission Fluids (ATF). If your Mazda transmission fluid level is low you may experience shifting problems. Don't continue to drive your Mazda is you expect that the level is low or you may damage the automatic transmission. If your transmission fluid level is low you may notice one or more of the following symptoms. Drive your vehicle for at least ten minutes and bring it to a complete stop and set the parking brakes. This will allow your Mazda transmission fluid to warm up. Ensure your Mazda is parked on a level surface. Ensure the parking brake is set. Shifter in Park. Locate the transmission dipstick at the back of the engine. While the engine is idling, pull out the dipstick. Clean the dipstick and reinsert it. Pull the dipstick. Make sure that your Mazda transmission fluid level is between the Full/Max and Low/Min level marks. If the level is below the Minimum mark, add half a quart/litter via the same tube you used to check the level. Only used the recommended Mazda transmission fluid that is mentioned in your owners manual. You will need a funnel for this. Check the level again. Add more automatic transmission fluid if necessary but do not overfill above the Max / Full mark. Always check that there is at least some fluid in the automatic transmission before you start the car or drive it to warm it up. Follow the same procedures as if you were going to check the transmission fluid but with the engine turned off. When you pull the dipstick, the level doesn't have to be above the Min/Low mark but it needs to show that there is at least some automatic transmission fluid in the transmission. Always check the transmission fluid level by following the exact procedure as outlined in your owner's manual. Below you will find a list of additional tips, in case you car manufacturer missed them. Make sure your vehicle is parked on a level surface. Make sure the fluid level is not extremely low. If the automatic transmission fluid level is extremely low you may cause damage to the transmission. Do not drive or keep the car running if there is no indication of transmission fluid on the dipstick. Adding transmission fluid on a Mazda is a simple procedure. Park your Mazda. Set the parking brakes. Move the shifter to Park position. Remove the dipstick. 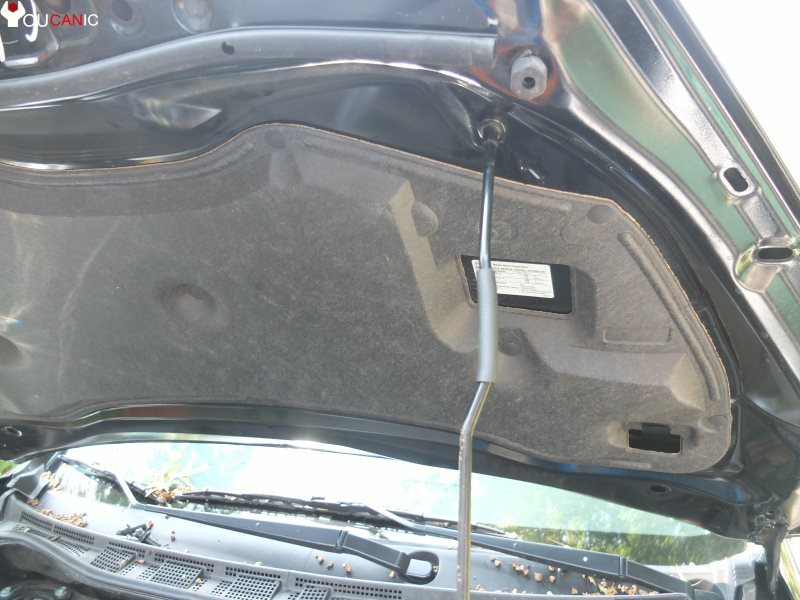 The automatic transmission dipstick is located next to the battery. Use a funnel to insert it into the dipstick tube. Add half a quart of Mazda Automatic Transmission Fluid (ATF). Recheck the fluid level again. If the level is above Min mark and below the Max mark of the dipstick you are done. If it is below, add more fluid. If it is above the Max mark you need to remove the extra fluid or risk causing damage to the automatic transmission. Make sure to add the recommended Mazda automatic transmission fluid or a compatible alternative. Mazda recommends Mazda ATF MV transmission fluid (also referred to as M5 ATF or Mazda V). Mazda MV ATF is not the same as Mercon V or Dexron automatic transmission fluid, a common misconception. Don't use Mercon or Dexron transmission fluid on a Mazda or you will start experiencing shifting problems after a few months. Always check with your owners manual to verify the correct type of transmission fluid used in your Mazda.